Stevens Institute of Technology is home to a diverse student body representing more than 50 countries. Stevens welcomes the talents, experience and perspectives its international students bring to the university. At Stevens, all students can participate in numerous activities, events, organizations and networking opportunities that help them build important social and professional connections with students and alumni from across the globe. These activities enrich the Stevens experience for all students. International Student & Scholar Services eases the transition for international students at Stevens by providing a variety of services that includes assistance with official forms and offering cross-cultural exchange programs. Stevens invites all graduate students to participate and engage in club activities. While some Stevens graduate students live within the nearby residential community in Stevens Leased Housing, most choose to live off-campus in Hoboken, Jersey City and nearby communities, among the thousands of young professionals who call this area home. We'll help you navigate the process of finding temporary or permanent housing while you are at Stevens. 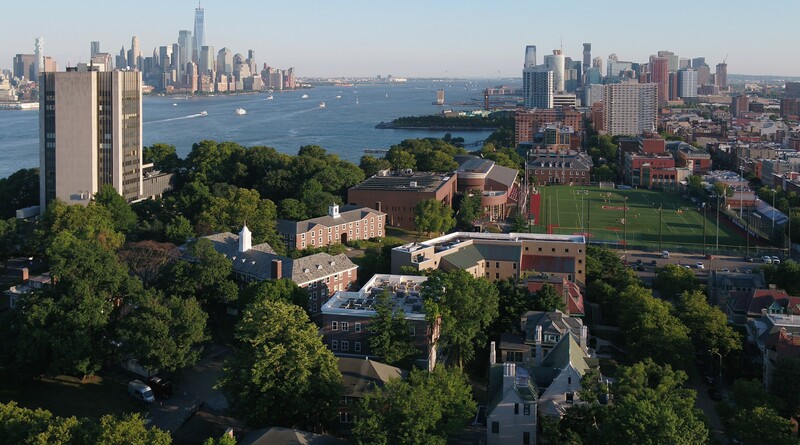 We welcome students from all over the world who wish to pursue an advanced degree at Stevens. As is the case with graduate study throughout the United States, aid to international graduate students (those studying in the U.S. on visas) is limited. However, several options are still available to you and we’re here to help you find them so that you can join us for postgraduate study. The Stevens American Graduate Experience (SAGE) is an exclusive summer enrichment program for incoming international Stevens’ graduate students to immerse themselves in American language, culture, and academics prior to the start of fall semester classes.